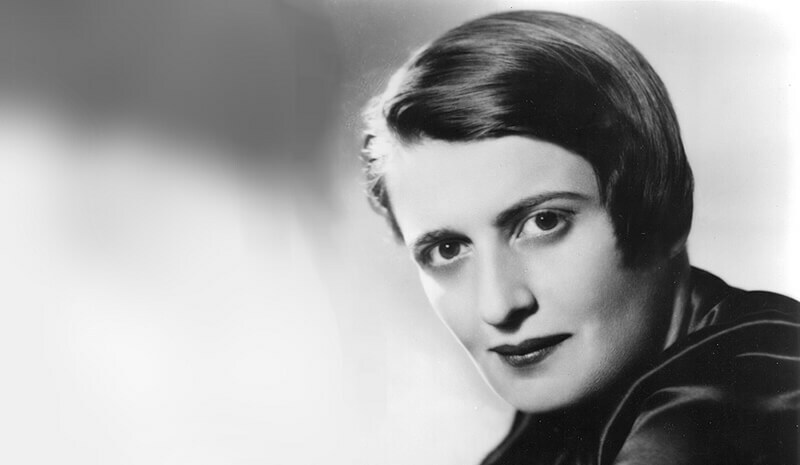 Ayn Rand publicly recommended the works of Mises but not of Hayek. Today, when Hayek is much better known than Mises, it’s worth seeing why. I came to the full realization of what’s wrong with Hayek’s approach while re-reading Atlas Shrugged. No, not in Galt’s speech, but surprisingly in the section describing the Minnesota harvest disaster, when trains were diverted to harvest the (spoiled) soybean crop of Kip’s Ma. There was not much that remained in her mind of the last twenty hours, only disconnected bits, held together by the single constant that had made them possible—by the soft, loose faces of men who fought to hide from themselves that they knew the answers to the questions she asked. Hayek’s argument, as I understand it, is that no government planners can substitute for the knowledge embodied in market prices. The price-system, he correctly observes, sums up the evaluative judgments of all the millions of people buying, selling, and refraining from doing so, on the market. Freely arrived at prices contain information; the planners’s knowledge cannot remotely equal that. In a way, this is an argument from ignorance: the planners can’t know enough to issue the right decrees. In its simpler form, it’s the argument that you can’t force a person to do what’s best for him because only he can know what’s best for him, which is an argument one often hears from conservatives. The Objectivist argument is quite different: you can’t achieve anyone’s good by force, because values are objective—which means they exist as values only if they are rationally judged by the acting party to be beneficial to him. And no one can be forced to make a rational judgment. The only effect of the force is the destruction of the alleged beneficiary (and everyone else). This is light-years away from (and deeper than) Hayek’s argument from ignorance. He holds, in effect, that the few can’t know as much as the many. But, in fact, they often do. The history of man is replete with examples of one man who was right against the mob. Just read the beginning of Roark’s speech. I realize that Hayek is speaking of economic knowledge, knowledge of how to coordinate production and exchange under a vast division of labor, which is indeed something no single mind or small set of minds can deal with. But his argument stems from a wider, skeptical outlook. And, at any rate, it is completely on the wrong track. Back to Atlas Shrugged. The point is that the statist system, under Directive 10-289, produces “men who fought to hide from themselves that they knew the answers.” The substitution of force for market freedom produces not ignorance but evasion. The issue, then, doesn’t concern anyone’s quantity of knowledge but whether thinking, problem-solving, decisive action are rewarded or punished. It’s all about preserving the connection of the mind to life: a system either lets rationality reap its rewards or penalizes rationality. I have written about the “economic selection” (like natural selection) that operates under capitalism: success creates the means of its own enlargement and failure is self-eliminating. That is what underlies the “social objectivity,” as Ayn Rand called it, of market phenomena. The reign of force sabotages this economic selection and turns it into its opposite, an unnatural selection in which success is punished and failure bailed-out. Under capitalism, it pays men to think; under statism, it pays men to fight against knowledge and to concentrate on avoiding blame. The men in Washington were last to be reached by the panic. They watched, not the news from Minnesota, but the precarious balance of their friendships and commitments; they weighed, not the fate of the harvest, but the unknowable result of unpredictable emotions in unthinking men of unlimited power. There, she thought, was the ultimate goal of all that loose academic prattle which businessmen had ignored for years, the goal of all the slipshod definitions, the sloppy generalities, the soupy abstractions, all claiming that obedience to objective reality is the same as obedience to the State, that there is no difference between a law of nature and a bureaucrat’s directive, that a hungry man is not free, that man must be released from the tyranny of food, shelter and clothing—all of it, for years, that the day might come when Nat Taggart, the realist, would be asked to consider the will of Cuffy Meigs as a fact of nature, irrevocable and absolute like steel, rails and gravitation, to accept the Meigs-made world as an objective, unchangeable reality—then to continue producing abundance in that world. Ayn Rand’s thought moves on a plane never even glimpsed by most of those who consider themselves intellectuals—including, unfortunately, some who are taken to be the strongest advocates of capitalism.